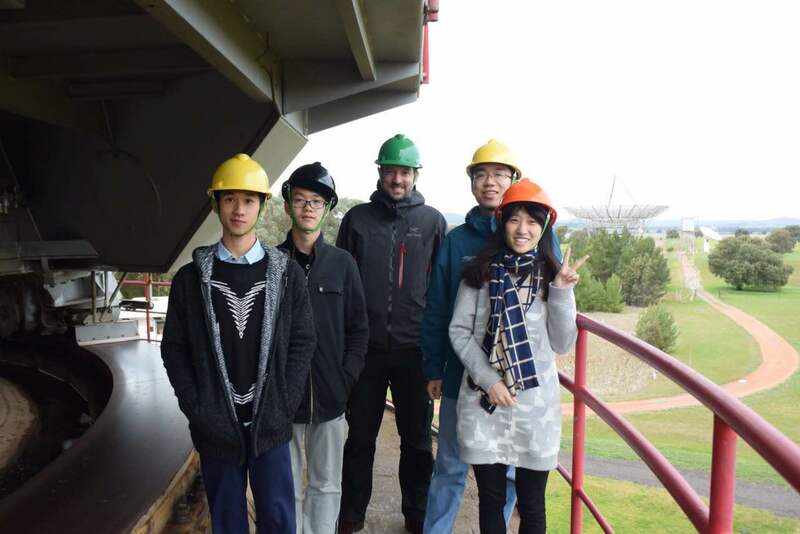 UTMOST has hosted a site visit by Wenhao Li, Hao Qiu, Haobing Wang, and Yunkai Wang (University of Nanjing) and Jan Hamann (University of Sydney). The students are visiting the University of Sydney for two months as part of an exchange program for undergrads between China and Australia. 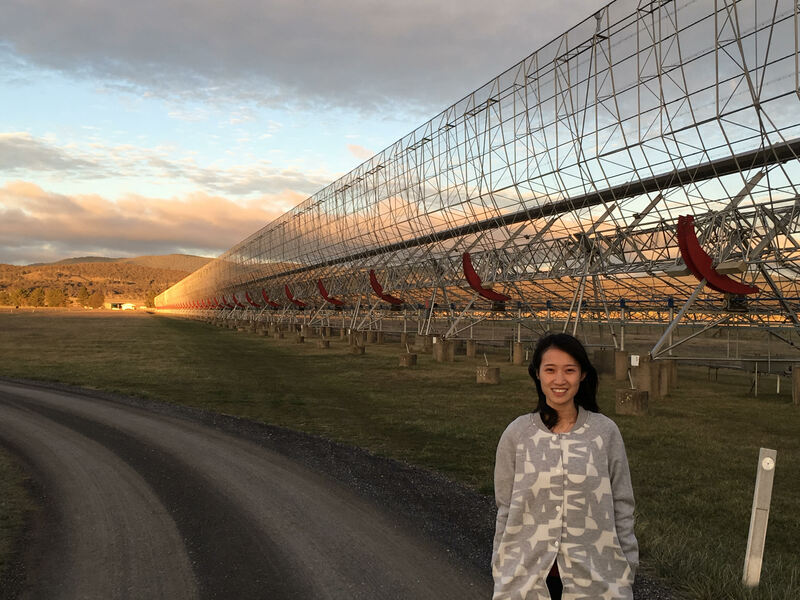 They visited the Parkes Radio Telescope (pictured) and the Molonglo Radio Observatory on Thurs/Friday 28-29/July. 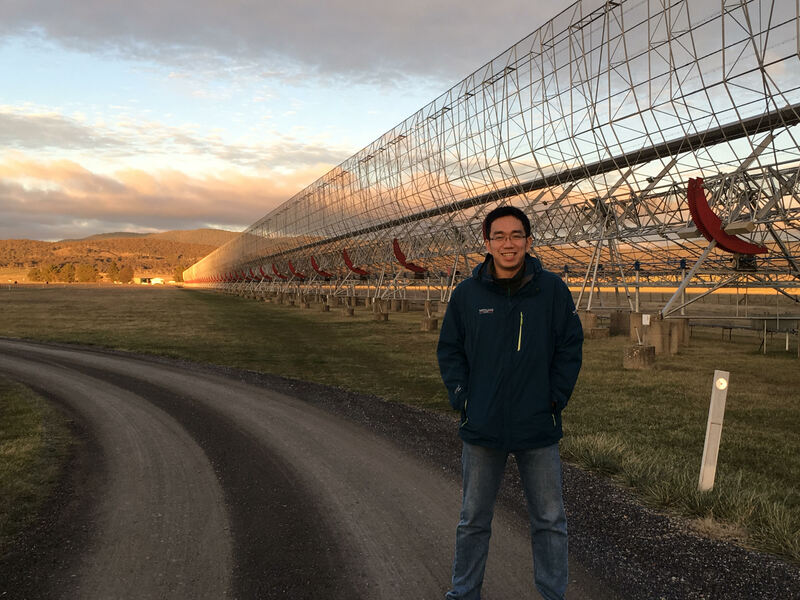 At Molonglo, the students saw the telescope in a special mode of operation as it was part of a global observing program, involving 12 telescopes, to search for optical counterparts to Fast Radio Bursts, and radio counterparts to very faint optical transients. We had the opportunity to show them the telescope in action, as well as data aquisition and processing with radio transients being detected in near real time, as well as discuss our science program, and research und study in Australia with UTMOST staff members Chris Flynn, Tim Bateman and postdoctoral fellow Stefan Oslowski and PhD student Manisha Caleb (ANU).